Thursday, June 1, 1854.Danville, IL. 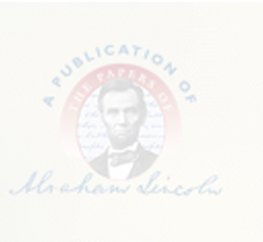 Divorce case—George Helmick v. Eliza Helmick—constitutes Lincoln's only court work. Complainant dismisses suit at his own costs. Lincoln alone appears for complainant. He writes and signs, for Davis, Lincoln, and Lamon, defendant's plea in Taylor v. Leonard. Record.